I try to resist pattern testing too much these days, what with my desire to go to bed before 2AM and all (sometimes I can’t get started on sewing until well after 9PM- mama’s, tell me you understand!). 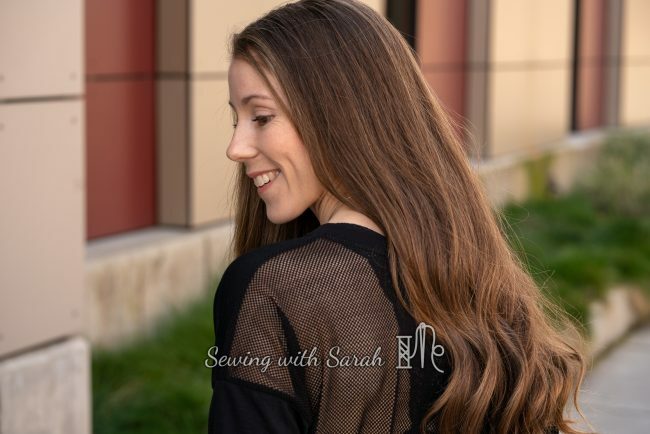 But occasionally, an up-and-coming pattern catches my eye, and applying for the test provides a handy little motivation, boosting a project that might otherwise languish in my “style pile” to the top of my to-do list. 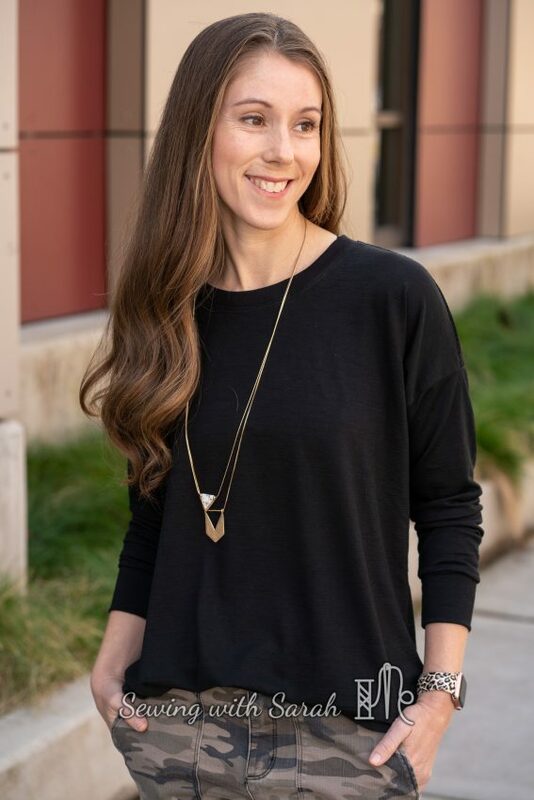 The Sporty Piko features an oversized dolman design, with a back colorblocking line and options for a crop top, a long tunic length, a hood or banded neckline, and both short and long sleeves. To be honest, I have a few different patterns that have similar features, but the array of options and the slouchy look really won me over. 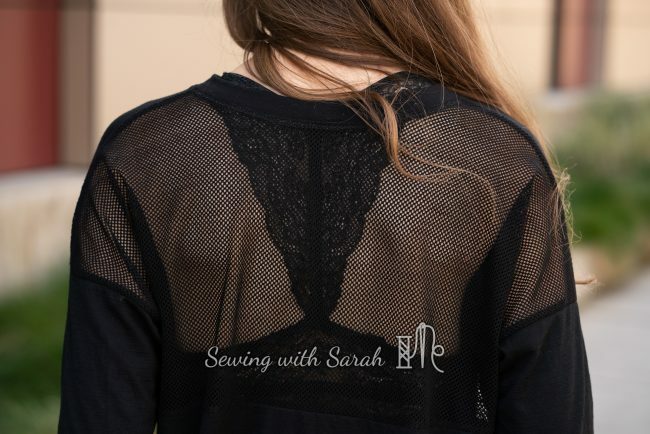 Where all my other dolman patterns tend to be more fitted, or crazy bat-wing, the Sporty Piko strikes a nice balance for a loose and airy silhouette in the transitional Spring weather. During pre-testing, I made the cropped version, but I didn’t love the look on me. I had used a very structured fabric (polartec), and the loose fit made me look too boxy, rather than sporty-cute (I’m sure my short frame has something to do with this as well). I decided to try again with the tunic version, shortening the sleeves and the body of the top by 2″ so it would hit me in the right spot (otherwise, it would have bordered on being more of a dress). I also slimmed the sleeves slightly- I feel like a slimmer sleeve balances the top better, and keeps me from feeling like I’m wearing one of my husband’s t-shirts. Since I’m on the border between the XXS and the XS (this is the XS body, with the XXS sleeve), that alteration makes sense, so if you’re between sizes, you shouldn’t need to grade at all, and might want to consider sizing down in general. Having learned my lesson with the structured fabric, I made my “final” version in a tissue merino jersey from The Fabric Store– purchased for me by my mother in law, while she was visiting Australia (its a good thing I didn’t go on the trip- I would have needed an extra suitcase or two!). Merino is ideal for transitioning between seasons, as it breathes naturally (unlike, say, polyester) and doesn’t hold onto moisture. Those sheep really know what they’re doing, and you can’t beat a well designed natural fiber for comfort and durability. Unfortunately, its also crazy expensive here in the US, so this fabric was precious to me, and needed to be used on a project that would get enough wear to justify its transcontinental origins. I’ve styled it with the front tucked in and the back hanging down, over a pair of camo cargos. 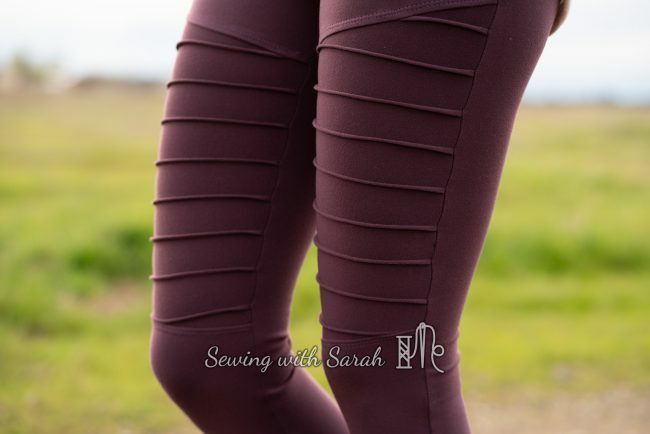 I love this look for its mashup of utilitarian and feminine styles, but plan to also wear this over leggings, like these motos (sneak peek of a new pattern hack coming tomorrow to a blog near you!). Now that I’ve got a better feel for the fabrics and modifications I’d like to make, I think I’ll be making another one of these using a sweatshirt fleece with some good drape, this time with the crop cut line and an added band (from the banded tunic view). The extra length provided by the band will give me a little more tummy coverage (I’m too old to be flashing my belly b! ), but still look cute over high waisted pants. You can find the adult version here, and the youth version here. What do you think? Are you gravitating toward looser styles lately, or do you prefer a more fitted silhouette? Drop me a comment below, and don’t forget to follow me on Instagram for more sneak peeks! Note: This post contains affiliate links! Thank you for your help supporting this little blog! You sold me on this pattern. It looks really cute on you. Did you make your cargo pants? They look great on you also. Thank you! Glad I could help you find another pattern favorite! 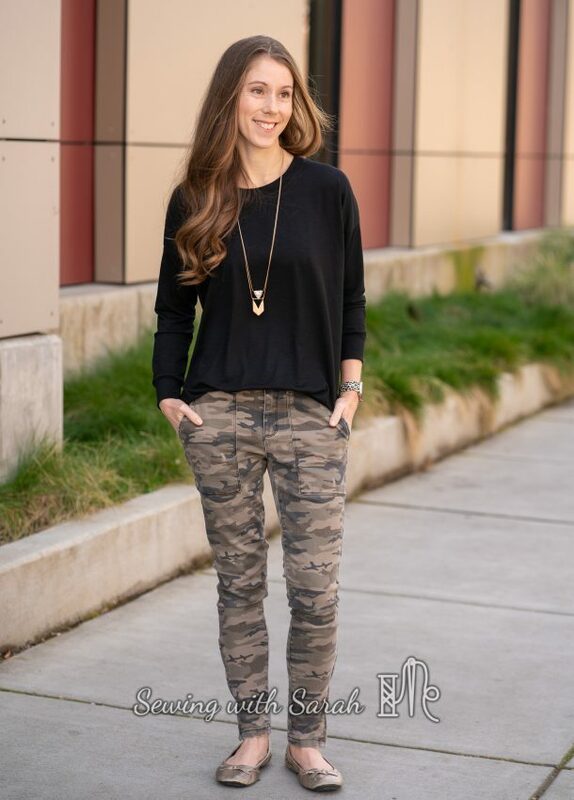 The cargos are not me made, I picked them up at Nordstrom, but I do love them! I think you have an amazing mother in law! And cute top! Was back of the top was all mesh? And was that a bralette underneath? Was the bralette a me made? Just the upper back is mesh- the lower back is the merino. The bralette is purchased (I linked them in my post), but the M4M Bridgette is pretty close. I’d like to make more bras this year, but I haven’t gotten around to it yet. What are the camo cargos? I can’t wait for tomorrow to see the Moto legging hack!! !